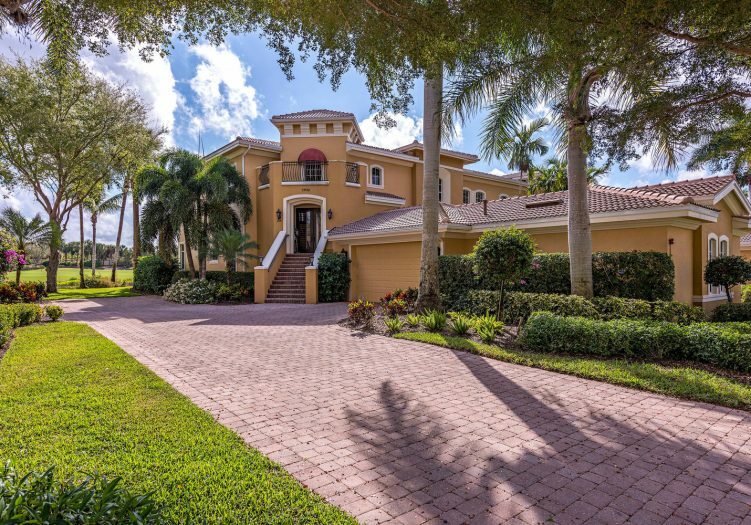 Welcoming you as you enter the pavered drive of this second story coach home is a grand foyer featuring an elegant spiral staircase and private elevator leading into the magnificent open floor plan. 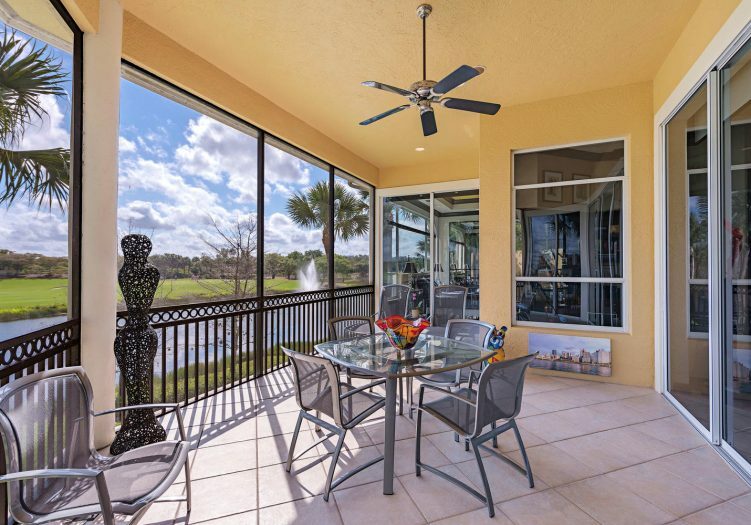 Spectacular views of the 7th fairway flood through the abundant windows and oversized sliding doors. 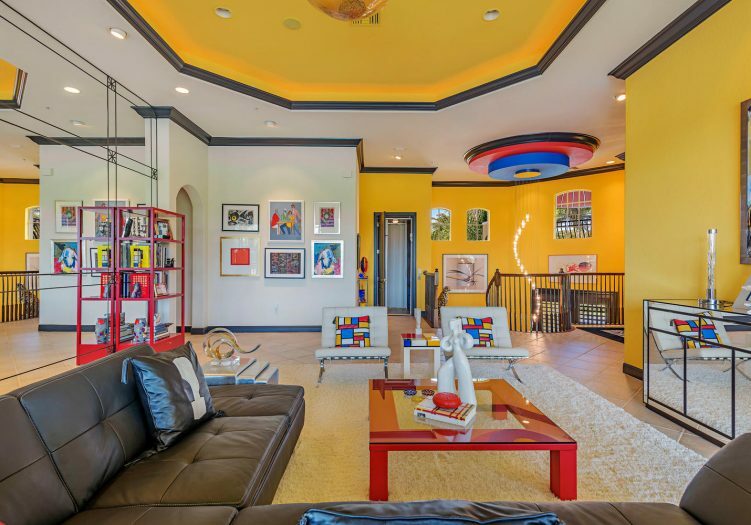 Volume ceilings, arched passages, stunning built ins, large tile and hardwood flooring flow throughout the main living areas. 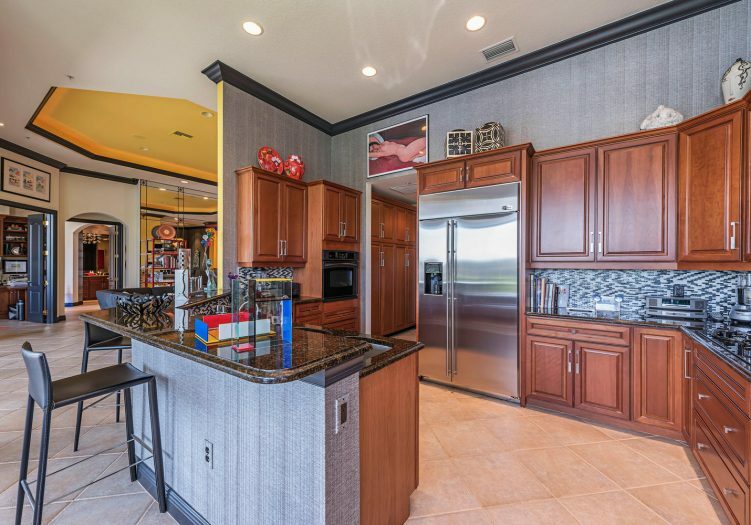 Upgrades found throughout this incredible home include a new washer and dryer, custom spot lighting, shutters, closet built ins, stunning mirrored wall, new 42" refrigerator, new dishwasher, new disposal, wood floors, safety security film on all windows, whole home surge protection, and built in storage cabinetry in the garage. 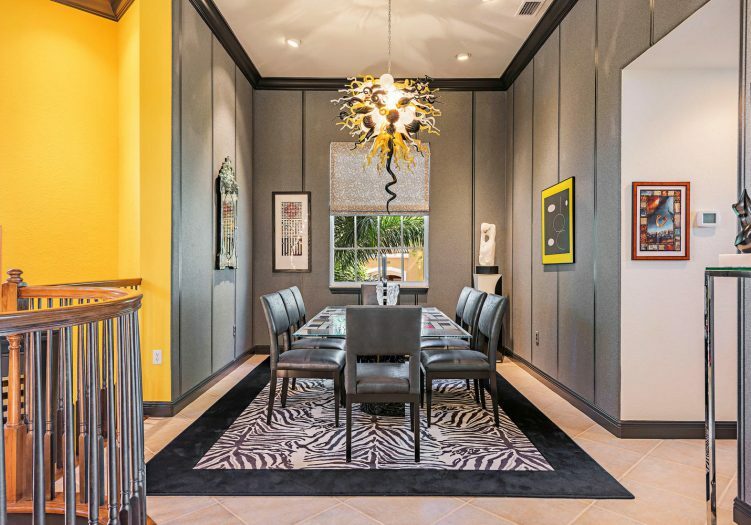 Enjoy special occasion meals in the formal dining room or casual meals in the breakfast nook with surrounding windows allowing abundant natural light and tropical views to flood the space. 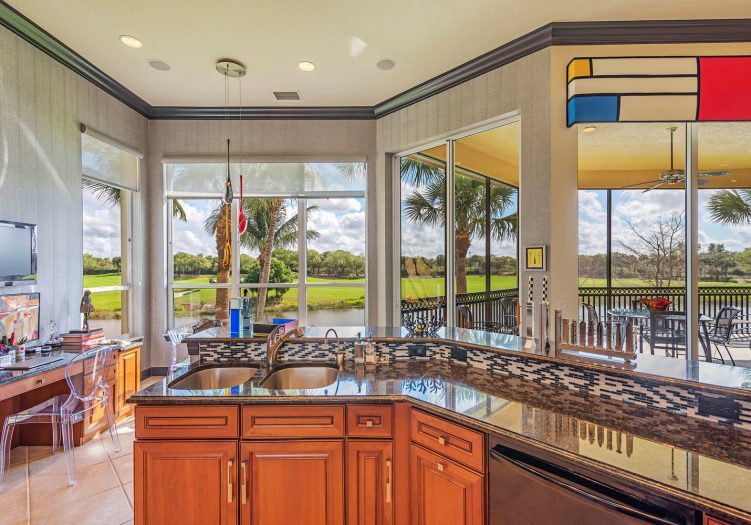 Rich wood cabinetry, stunning granite counter tops, custom backsplash and built in computer desk highlight the gourmet chef’s kitchen. 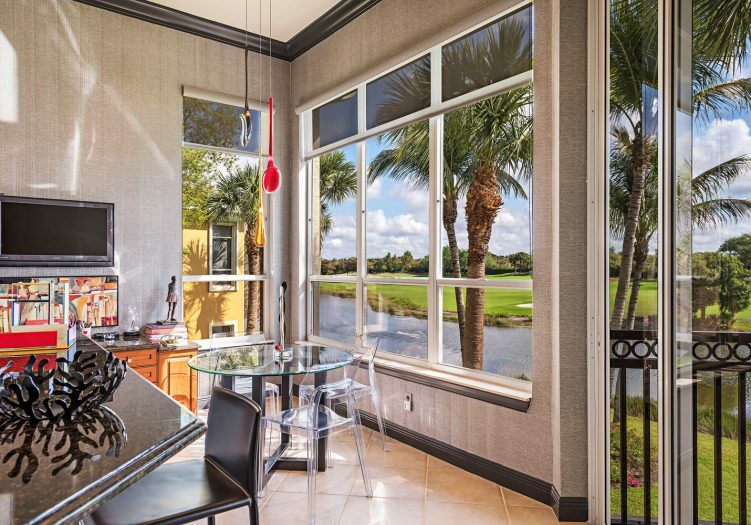 Share casual meals in the breakfast nook surrounded by unparalleled outdoor views. 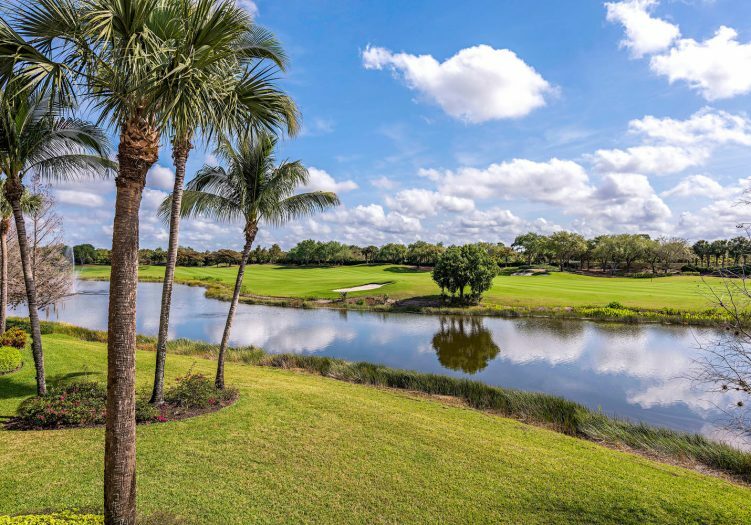 The master suite is a relaxing retreat featuring abundant closet space, stunning golf course views through picture windows and direct outdoor access to the screened lanai. 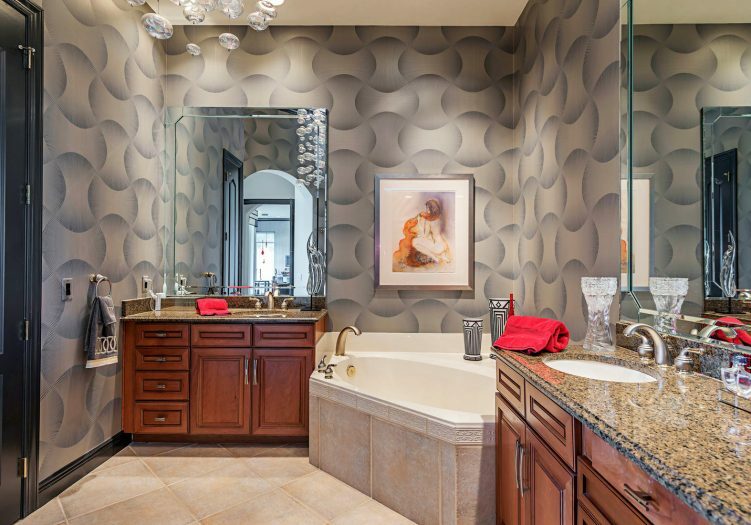 His and hers vanities, a large soaking tub and walk in shower are found in the master bathroom. 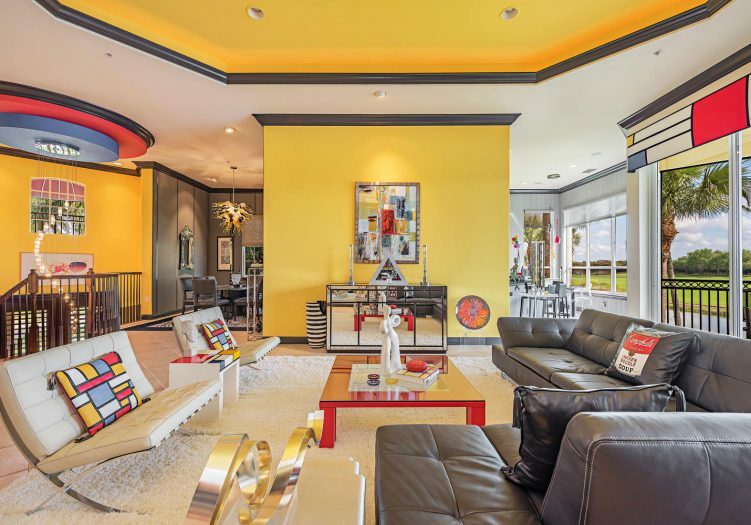 The den is an intimate work space or gathering area right off the main living area. 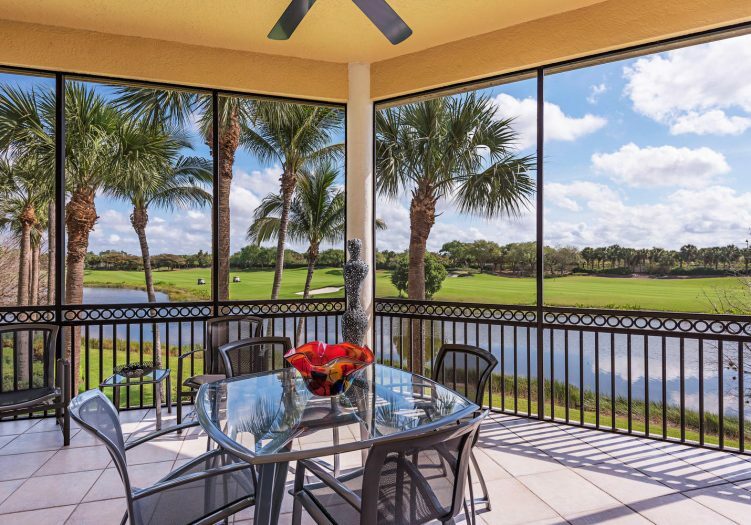 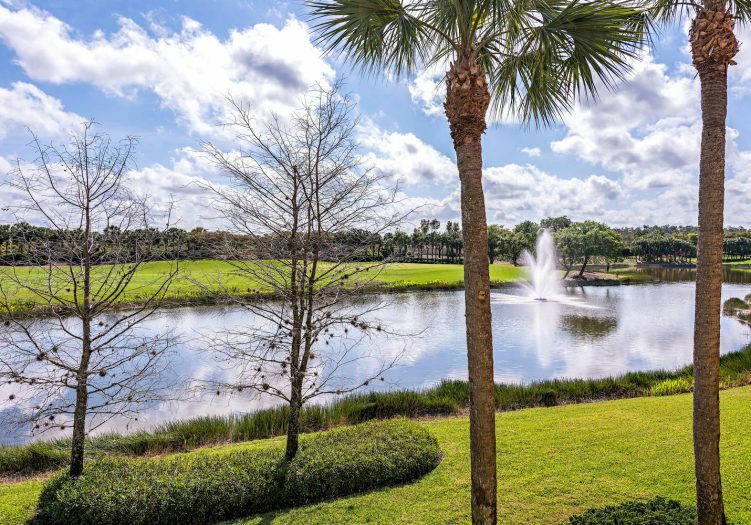 Enjoy tropical paradise from the spacious screened lanai boasting relaxing long lake and panoramic golf course views.